Today Fort Myers Beach on Estero Island is known as the world’s safest beach and a celebrated vacation paradise. The enjoyment of swimming, and shelling on the 7 mile silver sand beach, or fishing and boating in the beautiful Gulf of Mexico, is purely all many people experience. Behind the lines of this natural beauty there is a cluster of people, sometimes unknown, but always ready to assist the community in periods of unexpected emergencies. To the public they are simply referred to as the Fort Myers Beach Firefighters, but to an ill or injured person, they are life savers. A house fire, a heart attack, or broken water main are within the range of routine business for this proud organization. Every day, the Fort Myers Beach Fire apparatus thunder out of their homes on Estero and San Carlos Boulevard, sirens roaring, horns bellowing, in response to a summons for help, consistently more often, approximately a half dozen times a day, the rescue squad and ambulance answer a call for assistance. Arriving within 3 to 6 life saving minutes anywhere along Estero, Black, or San Carlos Islands, and continuing up San Carlos Boulevard to just south of Pine Ridge Road, this act of mercy occurred about 2100 times last year. The entire fire and rescue apparatus is staffed by professional technicians. All the firefighting/rescue personnel work 24 hours a day then have 48 hours off-duty, which translates into a 56 hour work week. Throughout the 1940s an established fire department was nonexistent on the island, and the closest fire apparatus was essentially the City of Fort Myers, approximately 20 miles away. Consequently on Wednesday, June 22, 1949 at 7:30 p.m. at “Jenk’s Bar” located on San Carlos Island, the Beach Volunteer Fire Department was born under the auspices of the Beach Improvement Association, Incorporated. Twenty-two (22) men were present at this banquet conference, and Col. T. J. O’Brian, Ret. was appointed Chairman by T. Bergan Van Brunt. The fraternity also elected Earl Howie the first Fire Chief and J. Travis Cowart, Fire Captain. A voluntary contributions fund raiser was launched, in order to acquire miscellaneous fire fighting equipment. The first equipment purchased was a small two wheel tree spray pump, tank and trailer, which was pulled by a borrowed jeep. These outmoded appliances were housed at Red Coconut Trailer Park and mustered by dialing “2541” on the telephone, a prelude to “911.” In April of 1950, an old international war surplus, fire/crush rescue truck was purchased from Miami. This truck with 550 gallons of water storage tank, hi-pressure pump and ladder was the first genuine fire apparatus retained by the Department. The Department maintained this vehicle until May of 1964, when it was sold to the Lehigh Acres Volunteer Fire Department. On July 10, 1950, the Fire Department was incorporated as the Fort Myers Beach Fire Control District, Inc., a corporation “not for profit” and Earl Howie was appointed President, J. Travis Cowart, Vice President and Nicholis F. Klug, Secretary/ Treasurer. Consequently in 1951 the Florida Legislature enacted Chapter 27676, law of Florida, which created Fort Myers Beach Fire Control District into a special taxing District. The original limit on advalorem taxes for the District was $6,000. This sum was regulated by the Board of Lee County Commissioners, but in 1953 the Section was amended and the taxes raised to two (2) mills on all real and personal property. The special act provided for a ratification by the qualified voters in the proposed District and the appointment of three (3) Board Members by the Governor of the State. The ratification election was held and the enactment confirmed on June 5, 1951. When the Fire District first established the geographical territory was confined to San Carlos and Estero Islands, but subsequently in 1963 extended to the mainland at the “Old Railroad Grade” or due south of Pine Ridge Road. The first organizational meeting of the Fire Board took place on December 15, 1951 at Mr. Hugh Branham’s home. The order of business was the election of Mr. Don Zimmer, Chairman and R H. Smith, Secretary/Treasurer and they discussed the purchase of a bond. On April 14, 1952, the Fire Commission approved the yearly salaries of $1,440.00 for Chief Earl Howie and $1,200.00 for Nick Brivaalua, with the arrangement that one of the two will be available every day. The District’s action established the Beach Fire Department as only the second fire department in the County with compensated personnel. Mr. Donald Zimmer and Mrs. Ora Zimmer, on December 28, 1951, donated land on Estero Boulevard for a fire station, provided, however, “that the described property be maintained as a main and operating fire and engine house,” or consequently the land reverts back to the Zimmers or their heirs. An additional parcel of land was acquired from the Zimmers on February 27, 1961 for the expansion of the firehouse. In 1952, the Department invested in a 1947 Jeep to tractor the trailer/firepump and in 1956, the District purchased their first new Ford fire engine. This truck had a 750 gallon per minute American LaFrance mid-ship pump, ladders and 750 gallon water tank, therefore establishing the Department with a sound arsenal of fire equipment. April 23, 1959 the Fire Commission of William H. Mellor, Dwitt Ward and Paul R. Fell approved the first Control Burn Ordinance, which declared “that no person shall kindle or maintain any bonfire or rubbish fire within the District.” This action was a considerable advance in the future of fire prevention, in that while the Ordinance has been updated, it is still enforced today. 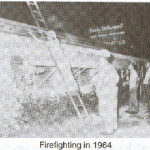 The year 1960 was a historic year for the Fort Myers Beach Fire Department. They took delivery of a 4 wheel drive Dodge truck with a 500 gallon tank and 750 G.P.M. 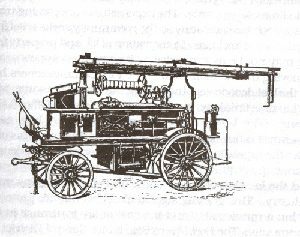 front mount, Barton American pump. In October Motorola radios were installed in the trucks, and with the help of Governor Leroy Collins the District obtained a radio license and call letters KAT-764. On August 9, 1960, the District acquired property adjoining the firehouse and in September Hurricane Donna walloped the beach. Hurricane Donna, on September 10, 1960 passed directly over Fort Myers Beach, generated massive physical, as well as financial damage with its winds of 117 M.P.H. The Fire Department vehicles were relocated to Pine Ridge Road to ride out the storm. After Donna had passed, the men and fire equipment returned to assist in closing the swing bridge, which had locked in the open position. Destruction of over 5,000 buildings in southwest Florida resulted in monetary damages surpassing 26 million dollars. The financial shortfall realization hit the District soon after the storm and the Directors had to borrow money to maintain daily operations. Today that identical storm would cause damage calculated to be over 681 million dollars or (2619 percent increase over 1960) because of inflation, population and rising construction and replacement costs. Not long after Hurricane Donna departed, another obligation was recognized by the Fire District. With the population mounting to 2,500 residents and the nearest hospital 20 miles away, there was a demand for improved aid to the sick and injured on the Beach. Ambulance service was delivered from Harvey or Englehardt’s Funeral Home in Fort Myers, which could take as much as 30 minutes to arrive at the scene. 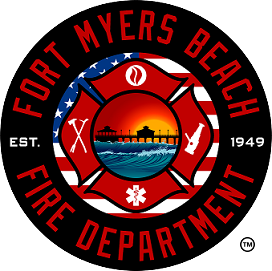 Two new historic “Not for Profit” corporations were established, the Fort Myers Beach Equipment Vehicle, Inc. on November 8, 1961, and a Certificate of Incorporation was filed for the Fort Myers Beach Rescue Unit, Incorporated on March 8, 1962. The rescue unit was incorporated separately from the Fire Department and with financial help from Leo W. Englehardt’s Funeral Home, a 1953 Ford step-van (previously a bread truck) was purchased from Miami. The first meeting of the Rescue Corporation was held at 7:15 on March 29, 1962 at the Fire Station. 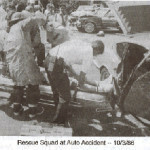 Attorney Kjell Pedersen explained the Rescue Unit Charter to the men and Al Bradford was designated President of the Corporation. The Beach rescue crew would transport to Miner Corner (San Carlos and Gladiolus) and then transfer the patient to the funeral home ambulance which would continue on to the local hospital. A second revision to the Enabling Act transpired in May of the year 1963. The Enactment indicated that the Board of Fire Commissioners could delegate as the presiding officer either a president or a chairman also, and the powers of the Board were specified in greater detail than had previously been the case. 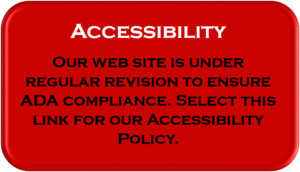 This is the first legislation in which there is a specific reference to the rescue unit function. The Fire Commission was given explicit authority to hire personnel and borrow money. Also this Amendment extended the District to the main land, when approved by referendum. On August 6, 1963, the District Commissioners adopted “Ordinance No. 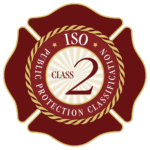 2” which established the Florida State Fire Prevention Code to be applicable to all areas of the District. This was the first time the Department had a standard Fire Code with which to operate with and at the same time satisfy the Underwriters’ Association requirement for a lower fire insurance rating. The dissolution of the Fort Myers Beach Rescue Unit, Inc. occurred on September 16, 1963, by the Final Order of Honorable Archie M. Odom and all properties were transferred to the Fort Myers Beach Fire Control District. Therefore establishing the rescue units as an official division of the Fire Department. The Fire Commission approved a telephone fire bar system for the department firefighters on September 7, 1965. This telephone system permitted the men on duty to get additional help. To employ the system, one would simply pick up the telephone at the fire station which would in turn ring the phones in all the off duty and volunteers’ homes. The notification of a fire or emergency and the request for the necessary personnel would then be related. At that time, this equipment was the latest fire alarm notification in the area. On December 5, 1966 the Board approved a Motion that the Fire Department act as its own contractor, in relation to the construction of the two-story rear addition to the fire station. The extension must comply to the plans and specifications of Amey, Incorporated, and stay within the estimated cost of $25,000. The expansion was built on two additional parcels of property owned by Mr. Don Zirnmer. One of the parcels was donated while the other was purchased for the sum of $5,000. The labor on the walls was completed by the firemen, under the supervision of a wall mason but the floor, roof and steel joists were put up by craftsmen. Some of the companies that worked on the project were: Midgley Incorporated, Rabar Industries, Inc. (steel joists), Overhead Door Co. and West Coast Paving Co. In February 1969, the local funeral homes notified the County that they were discontinuing ambulance service to the community. 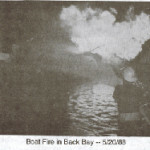 The Beach Fire Department had obtained on August 8, 1966, a Certificate of Operations from Florida State Board of Health. This license authorized the District to operate an ambulance service, therefore the funeral homes decision had an insignificant effect on the Beach society. Furthermore, the District was purchasing a new rescue vehicle for $2,515.38 from Sam Galloway Ford, Inc., that would transport patients to local hospitals. At the June 15,1971 Commission meeting, the Board awarded W. O. Dowling Fire Equipment Company a contract to build a 50 foot “Squirt” telescoping water for the sum of $60,235. In June 1972 the Department took delivery of this exceptional piece of firefighting equipment and was only the second aerial firetruck in southwest Florida at that time. Because of this truck’s special equipment and aerial ladder it was called upon through out Lee County for assistance, in many major fires in which water tower operation was required. Also in the year 1971 the Legislature changed the District’s fiscal year from October 1 to September 30 and authorized assessment and collection commissions of 3% each to tax assessor and tax collector. The next change to the Enabling Act was in 1973 when the District’s millage limit was raised to three mills and Bayside Estates was annexed into the District. Cardeo-Defibulator, E.K.G. Monitors, and Motorola Telemetry were added to the equipment in rescue units during January 1976. Only two other ambulances in Lee County were certified to carry and use this special equipment. In March 1976 the duties and responsibilities of the Department’s two paramedics were studied, in respect to the possible adoption by Lee County Patient Care System, and in July malpractice insurance was purchased for all rescue personnel. With the insertion of these present-day standards, the Beach rescue units were categorized with some of the finest ambulance services in the country. As the Fire Department was moving progressively into a professional arena, the firefighters’ pulse was sympathetic with the union and a new alliance. On May 12, 1976 the Board was officially notified that the majority of the employees had organized into a group known as the Fort Myers Beach Professional Firefighters. This was the first time several of the Commissioners had any experience with a labor organization and the strain associated with union negotiations manifested itself. It would be nearly three (3) years before an agreement would be signed between the District and firefighters’ union. During this time many unpleasant enactments transpired. There were law suits, picket lines and in February of 1979, the resignation of all the Fire Commissioners. Pandemonium was all John Q. Public could grasp from our local newspapers, but finally the Governor appointed a new Board and on April 10, 1979 a contract was signed by all parties and peace came to the Beach District once again. The District on November 8, 1977, leased properly on San Carlos from John F. Franklin, Jr., with the agreement that Mr. Franklin would erect a building on Franklin Lumber Co. property, and the District would lease the property for three (3) years at $700.00 a month. The Commission also awarded a $800 contract to architect Stout to supervise the construction of the new sub-station Mr. Franklin was to construct. The new sub-station (station #2) was open and operating in mid April of 1978. This station was kept open until late 1979 when it was closed and all the equipment moved to the Estero Boulevard station. This status continued until 1983 when a new station #2 was built and opened at the north end of San Carlos Boulevard. The District Enabling Act was amended in October 1980 to increase the Fire Board of Commissioners from three to five members. This amendment also modified the Board of Commissioners from an appointed to an elected body and regulated the method by which Commissioners were chosen in elections on odd numbered years. The next revision to enabling legislation was in 1981, which authorized the District to operate and maintain an advanced life support ambulance. This enactment additionally provided that the millage be determined by the Fire Board and not the County Commissioners, which had been the custom in the past. Early in 1980, the Department resumed an important phase of fire safety to the Beach, fire prevention. Fire prevention comprises everything the fire service does to diminish the incidence of unconfined fire. The Department focus on inspection included Code enforcement, public education and building plans review. In the past the Department did not realize the full value of fire prevention division and stopped inspecting buildings in 1979. In February of 1980 the Fire Commission adopted National Fire Protection Association (NFPA) Handbook standards and all subsequent fire code to help insure the life safety condition within any structure on the Beach. In 1981 the District signed a Code Enforcement Interlocal Agreement with Lee County, which gave the Fire Prevention Bureau some muscle, when dignitaries would not comply with Department provision of the Fire Code. Another mishap that one could express about the year 1979, was the closing of station #2 on San Carlos Island, but while the station was abandoned, the $700 monthly fee was faithfully paid. On the other hand one could declare the termination was “A Blessing in Making,” for the location of that station was not paramount for the protection of that area or the Beach as a whole. The District satisfied the station #2 void in 1983 with the opening of a new station on the main land, near the District boundaries which reduced response time to Bayside Estates. This station also housed the new 100 foot aerial platform ladder truck, which was necessary due to the increased height of the building on the Beach and the advantages of greater horizontal reach needed for fighting fires. During the 1980’s the Beach was fast becoming a high rise community. At the same time the Fire Department, with the advantage of its aerial platform, could move quickly from window to window, high above the ground, to perform fire fighting or a rescue operation. This gave some feeling of fire safety to our Beach sky view community. The 1980’s exhibit not only new apparatus to the Department, but a new Training Division. The first thing the Department accomplished was the engagement of our own Medical Director, which in the past was the County Health Department Doctor. This not only gave the Beach E.M.T. and paramedics special emergency medical instruction but spearheads education adopted by the County Emergency Service and E.R physicians becoming County Medical Directors. A further move in the training area was the implementing of the firefighter apprentice program. The purpose of this program was to maintain a minimum requirement of professional competence for all District firefighters. This new firefighter I, II and III eligibility was the first examination of this kind in Southwest Florida and looked at as a benchmark in other areas of the State. This decade welcomed the Department into the revolutionary world of computers. It meant learning a new language. Words like hardware, software, memory, formatting disks became the new buzzwords in halls of the fire stations. Commonplace was one firefighter teaching another word processing which had replaced the pen and paper of so many years past. Another important milestone of the 80’s was introduction into the Beach School classrooms of fire safety education based upon sound behavioral principles and good learning techniques. The NFPA’s “Learn Not To Burn,” which includes public information, is combined with the Beach Department’s own Children Learning Advance Safety Skills (C.L.A.S.S.) Program. This program teaches school children safety behavior from C.P.R. to the use of 9-1 -1. With the reinforcing of Fire Prevention Week and other safety learning measures, this behavior can be retained for a lifetime. The Beach School adopted our C.L.A.S.S. program and with the financial help from the Beach Kiwanis is being learned today. 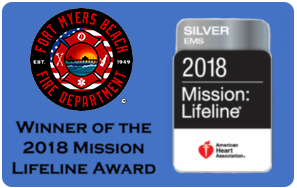 Many other Fire Departments have used this special program that was born in the Fort Myers Beach Fire Department and is one of the Department’s greatest accomplishments. An overview of the 1980’s would not be complete without mentioning the obligation for fire inspections. The inspection of commercial buildings within the District is required by law. The State of Florida furnishes the Fire Department with a vehicle to recoup some of the monies used for this service. This vehicle is the Fire Prevention Bureau’s ability to charge for inspections, thereby lowering the burden on the taxpayers. It is worth noting that as the Fort Myers Beach Fire District marches on into the 1990s, identifying and targeting new fire and rescue problems is at the top of the Department agenda. One goal was responding to emergencies on the miles of water within and throughout the District. This water playground which the Beach society utilizes daily was under protected, until the State and the District provided money for this essential crusade. Today the Beach Fire Service is the first in the United States to operate an advance life support fire vessel. This craft not only has the capacity of delivering 500 gallons of water per minute but can provide invaluable emergency medic aid on any waterway. Emergency Medical Services (EMS) has always been an important function of the Fire District and operating an ambulance for decades a major goal. Today the quality of EMS delivery systems has improved greatly to the Beach community. The Department’s decentralized locations provide a rapid response to all areas of the Beach and the 911 communications systems and in-house dispatching can get one help without delay. The application of twelve (12) lead E.K.G. for cardiac emergencies and the dispensing of aspirins to patients, placed the Beach Department as one of only 18 Fire Departments providing this service in the United States. Along with EMS, equipped engine and ladder companies allow this Department to provide initial response to all life threatening situations and make it a front-runner in the EMS field. Currently, a five-member commission elected by district residents, each serving a term of four years, governs the FMBFCD. The district is funded by an annual millage rate set by the Fire Commissioners assessed on property within the district. The district employs 55 professionals. Chief Michael Becker was appointed in 2005. His mission is to strengthen the reputation of the district by building collaborative relationships with the labor unions and the elected commission, using evidence-based decision making, and providing significant opportunities for an efficient and effective organization.